NIRT Chennai Recruitment 2018 2019 | NIRT Chennai invites Application for the post of 02 Project Technical Assistant Posts. NIRT Chennai Technical Assistant Jobs Notification 2018 Released. Candidates are requested to Download Application through Official website www.nirt.res.in. You can check here NIRT Chennai Recruitment Eligibility Criteria, Pay Scale, Application Fee/Exam Fee, NIRT Chennai Selection Process, How to Apply, NIRT Chennai Result Release Date & other rules are given below... Aspirants are requested to go through the latest NIRT Chennai job recruitment 2018 fully, before applying to this job. As per the recent NIRT Chennai notification 2018, the eligibility details like Educational Qualification & Age Limit for the Technical Assistant job has given below. Graduate in Science (Statistics/Biostatistics) from a recognized University with three years’ work experience from a recognized institution OR Master’s degree in Statistics/Biostatistics. Graduate in Science from a recognized University with three years work experience in Laboratory/Clinic in a recognised Institution OR Master’s degree with Medical Laboratory Technology. NIRT Chennai may follow the following process to select the candidates. How to apply NIRT Chennai Technical Assistant Vacancy? 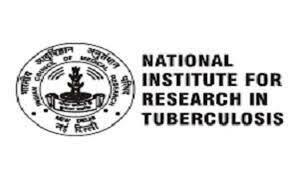 Interested candidates fulfilling the required qualification may download the prescribed application form from the website www.nirt.res.in and walk-in on the date and time mentioned above, i.e at National Institute for Research in Tuberculosis, 1 Mayor Sathyamoorthy Road, Chetpet, Chennai 600 031 to attend the walk-in-written test/interview at the venue mentioned above. The filled-in application along with self-attested copies of all credentials in support of educational qualifications, age, caste/community and affixing a colour passport size photograph on the application form should be carried with while reporting for walk-in. Original Certificates of all these credentials should also be carried with for verification.